Hollywood flocked to a gala for the Israel Defence Forces and raised a colossal $60 million for the armed force. Some of the celebrity attendees, however, faced a backlash online for appearing at the Beverly Hills event. 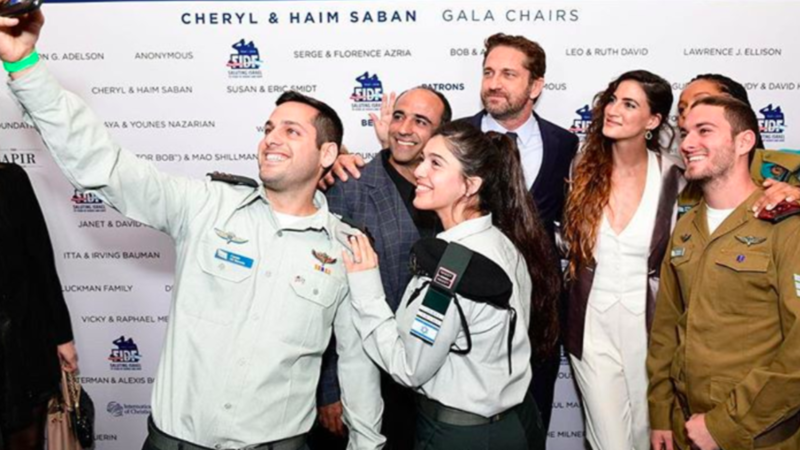 The Friends of the Israel Defence Forces (FIDF) annual gala was a star-studded event attended by actors like Ashton Kutcher and Gerard Butler, with Pharrell Williams providing the evening’s entertainment. FIDF announced it raised $60 million at the Beverly Hilton gala, the most raised at any single one of the organisation’s events. It also said the biggest donors were Haim Saban and his wife, and casino magnate and Republican donor Sheldon Adelson and his wife, with each couple donating $10 million to the cause. The gala drew 1,200 attendees, the organisation said in a statement that listed Andy Garcia, Fran Drescher, Ziggy Marley, David Foster and Katharine McPhee among the celebrity guests. “We are thrilled that so many members of our community, including major Hollywood figures, are coming together to help us support the brave men and women of the [Israeli army]. Standing behind these heroes is one of the greatest honours in my life,” Saban, a member of the FIDF board and chair of the event said. Guests at the ‘Making a Difference: 70 Years of Heroes and Hope’ event were treated to a talk on the history of the IDF and heard from a number of soldiers. Ashton Kutcher, known for his work with charities and humanitarian causes, faced criticism from his social media followers for attending the event, with many leaving outraged messages under his recent Instagram posts. His fellow actor Gerard Butler was also among the famous attendees singled out for criticism after the funding bash. $ellout$ and suckups. A parade of freakshow minions. Sickening.